We’re delighted to announce that Jeremy Samuel (CEO) will be a panelist on the topic of “The Blockchain market revolution” at the MBAus Conference 2018. More information can be found at http://www.mbaus.com.au/. It will be two days of thought leadership from some of Australia’s brightest business minds…including ours! 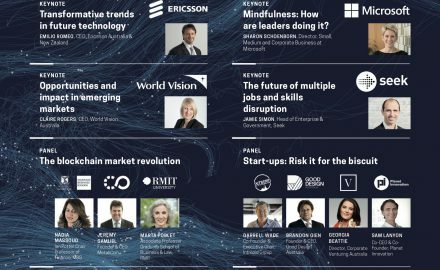 MBAus is being held in Melbourne across 1-2 September.